It is a vital lifeline to inland China and the famous Three Gorges are still magnificent. This amazing journey through spectacular scenery is not to be missed .Cruise from Chongqing to Shanghai aswell as the river cruise tour also includes visits to: Beijing, Xian, Chongqing, Shanghai, and Wuzhen & Hangzhou. DAY 1: Depart from Heathrow on direct flight to BEIJING. DAY 2: On arrival Beijing you will be met and transferred to your superior class hotel for 3 nights. In the afternoon a visit to the Temple of Heaven and in the evening a welcome dinner to get to know your travelling companions. DAY 3: Visit Tiananmen Square and the Forbidden City and also enjoy the panoramic view of the city from Coal Hill Park.Lunch with a local family followed by a rickshaw ride in the Htong area(old Beijing) including visits to a local market.Remainder of afternoon and evening free. DAY 4: Full day visit to the less crowded Mitainyu section of the Great Wall.This part of the Great Wall offers the authentic great wall experience.On return to Beijing visit the Ming Tombs and the Sacred Way.In the evening enjoy a Bejing Duck dinner at a special downtown duck restaurant. DAY 5: Morning visit to the fabulous Summer Palace then depart for the airport and the flight to Xian. On arrival,a short orientation tour and then transfer to your hotelfor 2 nights.In the evening free time to explore the local area. DAY 6: Sightseeing today includes a visit to the Terracotta Warriors site. Enjoy the 8th wonder of the world and the architectural and historic wonders of Xian. On return to Xian city area visit the City Wall and the Drum and Bell tower area with local markets in the muslim quarter. A special dumpling dinner and Tang Dynasty cultural show this evening. DAY 7: Free morning in Xian before departing to the airport and the sort flight to Chongqing. On arrival a visit to see the Panda's and the fascinating old town on Ciqikou. Free evening. DAY 8: CRUISE: After breakfast in hotel transfer directly to your cruise ship for 7 days/6 nights cruise downstream to Shanghai. Morning visit to Three Gorges Dam site Re-board ship at Yichang dock or Mingshan Hill, or the new relocation village for families who have moved as a result of the Yangtze's rising waters brought about by the new Dam. Morning excursion to Daning River Small Gorges or Shennong Stream. Evening sail through Three Gorges Dam Ship locks Afternoon shore excursion of Wuhan, visiting the Hubei Provincial Museum. DAY 15: Full day sightseeing in Hangzhou including a special visit to West Lake,Linyin Temple and a local tea plantation. Free Evening. 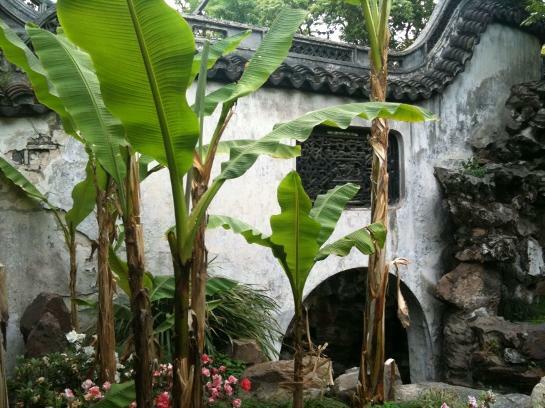 DAY 16: Transfer from Hangzhou to Shanghai by road.En route visit the water town of Wuzhen. Arrive hotel for a stay of 2 nights. In the evening take an optional tour to see Shanghai by Night. DAY 17: Full day sightseeing in Shanghai which will include the Old Town, The Bund,Shanghai Museum and the Xintiandi area. In the evening an INCLUDED visit to the famous Shanghai acrobatic show. DAY 18: In the morning check-out and transfer to Shanghai airport for the return flight to London. As you are travelling westwards your arrival will be later the same day.